oucas Pericleous joined the firm in 2019 as an Associate Attorney. Since then he has been practicing law in Nicosia with an ability to provide, amongst other things, consultation concerning matters relating to the interpretation of Double Taxation Conventions, EU VAT and Transfer Pricing. 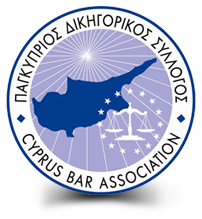 Loucas Pericleous appears daily before Courts of all instances and jurisdictions in Cyprus. During his LLM at UM (University of Maastricht) Netherlands, he specialised on International and European Tax Law and is currently writing his thesis on the topic of “Keeping up with the agents: Can the recently amended Agency PE provisions of Article 5 MTC prevent the artificial avoidance of PE status through commissionaire arrangements and similar common tax strategies?”. In the past he has also worked as a consultant for clients in the Tourism and Hospitality Industry, participated as a Facilitator in a Negotiations Workshop, whilst also attending seminars and conferences regarding Taxation.